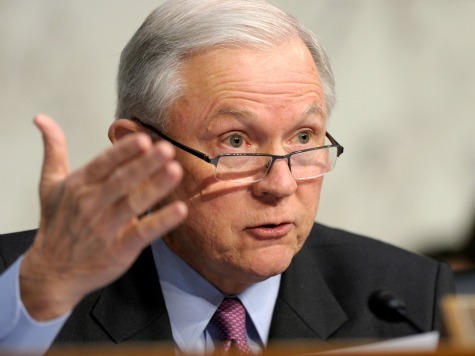 Senate Budget Committee ranking member Sen. Jeff Sessions (R-AL) told Breitbart News that black workers across America should be wary of supporting Democrats because of President Obama and other Democrats’ support for immigration policies that displace them economically. Sessions points to a study that Harvard economist Dr. George Borjas published with the National Bureau of Economic Research in September 2006 that found that the employment rate of black men fell from 1960 to 2000–a timeframe during which immigration sharply increased, making it much more difficult for Americans, especially blacks, to find jobs. Research by Dr. George Borjas shows that the long-term large-scale importation of foreign labor has substantially eroded wages in the black community–and yet Senate Democrats voted unanimously for legislation to double the arrival of new workers and deepen this unacceptable wage decline. These new workers would fill jobs in every sector of the economy, denying many low-income Americans a shot at middle class job security. What amnesty is doing is setting aside a special class of individuals who are … treated more favorably than others. In other words, they’ve already broken the law and are being given amnesty. In terms of immigration policy, it would severely affect the rights of blacks generally and all low-income Americans. What it is going to do is displace those individuals from the labor market. Dr. Martin Luther King, Jr.’s wife, Coretta Scott King, who took over his advocacy after he was assassinated, wrote to Sen. Orrin Hatch (R-UT) in the early 1990s asking him to enforce America’s immigration laws so illegal aliens could not steal jobs from blacks. In an interview this weekend, Dr. Alveda King–MLK’s niece–said she agrees with her aunt on the issue. Sessions’ comments come as President Obama’s pollster, Cornell Belcher, wrote in a confidential memo, leaked to The New York Times this weekend, that there could be “crushing Democratic losses across the country” in the looming 2014 midterm elections. “African-American surge voters came out in force in 2008 and 2012, but they are not well positioned to do so again in 2014,” Belcher wrote in the polling memo that spelled out a bleak picture for Democrats in two weeks should they fail to do the same this year. “Anybody who looks at the data realizes that if the black vote, and the brown vote, doesn’t [sic] turn out, we can’t win. It’s just that simple,” Congressional Black Caucus Chairwoman Rep. Marcia Fudge (D-OH) added in an interview with the Times. Obama’s not on the ballot personally this year, something that is likely to have an adverse effect on Democrats hoping for surging black turnout. Obama’s recent comments that his policies are, nonetheless, on the ballot may, many Democrats both privately and publicly fear, have a negative effect on swing voters and undecideds who disagree with the direction the President is taking America, as shown by his lagging popularity numbers and the fact that hardly any candidates want to be seen on the campaign trail with him. To make matters worse for Obama’s Democrats, blacks have fared horrendously, economically and otherwise, since he took office, leaders like Dr. Martin Luther King, Jr.’s niece, Dr. Alveda King, say. In an interview this weekend where she said Obama’s presidency is a “moral bankruptcy,” King ripped into the President and the political class in general for ignoring big government’s effects on blacks. That’s terrible. There’s nothing that’s been done to enhance our lives but there’s all sorts of things that were done to [give us stuff] like free access to abortion, free birth control in a healthcare clinic. But that’s nothing that’s going to help us economically, intellectually, physically health-wise and otherwise–there’s nothing being done for us. Black home ownership is 31 percent less than the rest of the country. Poverty rates have increased from 12 percent to 16.1 percent. Income for blacks is $20,000 less than the national average. Thirty-five percent of young blacks are out of work. The horrendous conditions seem to be why black Democratic leaders are turning to issues like the shooting death of Michael Brown in Ferguson, Missouri, to try to energize black voters for them nationwide in November. “They embrace the health care law — ‘I will never run away from the Affordable Care Act,’ [Rep. Elijah] Cummings said — and often invoke voting rights and the death of Michael Brown, the unarmed black man shot by a white police officer in Ferguson, Mo., as a way to mobilize black voters. And they defend the president,” The New York Times‘ Sheryl Gay Stolberg wrote in her piece on Belcher’s polling. Dr. King is leading a new effort among black conservatives in which they’ll appear at her uncle’s memorial in Washington on Monday, then follow that with stops in North Carolina and then Ferguson in the coming days, aimed at exposing the left’s big government effects on blacks. Sessions says that the Senate Democrats need to explain how their immigration policies, and those of President Obama, would economically destroy the black community–and hurt many other struggling Americans.